Great looks with solid projection and tone at an affordable price. Recording King has been a well-regarded secret among professional resonator players for the last decade. 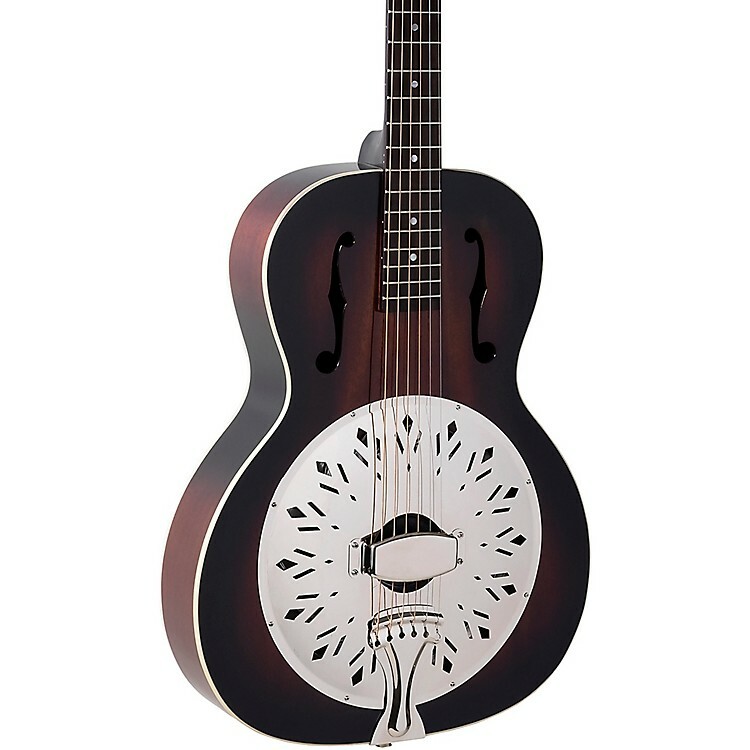 Now anyone can get a professional-quality resonator at a great price in the Recording King Rattlesnake. The hand-spun Recording King cone is a world-class tone engine for classic reso tone and volume, and the open pedestal-style soundwell creates a uniquely loud and broad sonic palette. A removable handrest for quick adjustment, bone nut, and Grover tuning machines round out this instrument. All that's left to add is the actual snake rattle for true vintage mojo. Like what you see? You'll love what you hear as well. Order today.